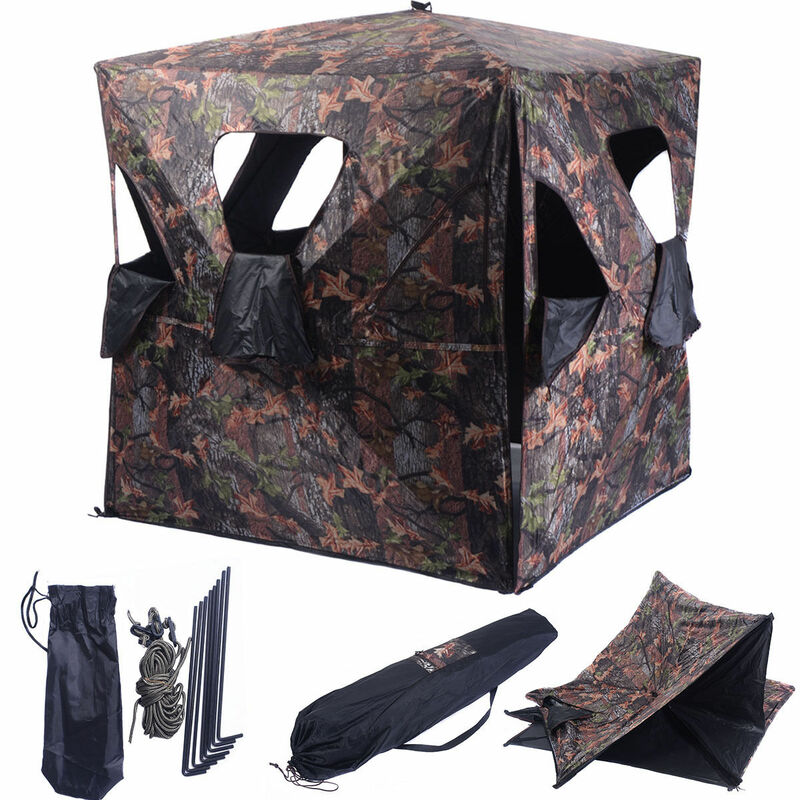 This is an overall great blind. It is sturdy and easy to put up. The quality is great. The only thing I would caution against is using the mesh window covers when shooting. They can distort your aim if using a red dot or holographic sight. The color is perfect for my oak woods. The deer have come within 15 feet and not even flinched. It can accommodate 2 adults just fine. Love it !